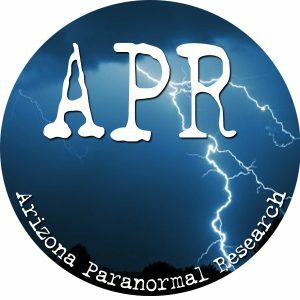 This is audio evidence accumulated in over four investigations of the Birdcage Theatre in Tombstone, Arizona since 2007. You should be able to hear all of these audio clips on your computer or device speakers if you turn up the volume to the maximum level. On this next clip you will hear me ask about the name of Tombstone’s newspaper. At 10 seconds on the clip an EVP voice says “That would be you” in a very fast tone. This EVP was captured on two different recorders on opposite sides of the main room bypassing all of the other recorders in between. This next EVP was captured in the main casino room by the Birdcages. You will hear me ask ” Is there a reason you are here?’ At 9 seconds on the clip you will hear a very faint ” Yes” male response that all three of us heard. This is a disembodied voice. Not an EVP. “How many people live in this building?” You will hear an old man replying but we just can’t tell what he is saying near the end of the clip. My fellow team member Kyle asks about where to buy boots. He was answered by what I believe is cards being shuffled in the basement on the poker tables. There was no one in the basement and this sound was only captured on one of the recorders in that location. This next clip was team member Sharon Day alone in the basement conducting an isolation session. She is playing the part of a prostitute trying to elicit a male response. You will hear a female moaning noise at 5 seconds then, a ” Thank you” EVP voice at the end of the clip. The humming was coming from a neon sign close by. This was captured on our last investigation inside the Birdcage Theatre store in the basement. Two female investigators are talking about the SLS camera footage that detected an image two minutes before. I placed an omni-directional microphone and recorder in the store and captured a male voice saying ” Put it out” at five seconds into the clip. There were no male investigators in the basement or store when this was captured.